Today marks my sixth anniversary of officially being hired on Automattic. As I’ve mentioned before though, I had been on contract for 9 months before actually being hired. Since my last anniversary, I’ve joined the VaultPress team (I can’t believe that’s nearly been a year too!) and have been enjoying the change of type of work that’s come out of that. I’m currently near San Pedro, Belize in some resort condos with my team from work. We’re co-working here for the week in person. Normally we’re remote and spread across the world. When I first joined Automattic, I was a member of the VIP Team which is in charge of helping our enterprise clients host their large websites on our platform. After doing that for three and a half years, I got a bit burned out and was given the opportunity to switch to our Janitorial team. Janitorial is the name of the team that handles all of our internal tools and other things that slip between the cracks at Automattic. Now it’s once again time for something else. As of tomorrow, I’ll be joining the VaultPress team who are in charge of our backup and security product for self-hosted installs. I will be helping both with development as well as any technical issues that arise from our support requests. It should be quite interesting and exciting — I’m looking forward to it! Yesterday, March 8th, was my official fifth year anniversary of being hired at Automattic. I say official because I actually started my trial the previous June and by that fall was doing fulltime regular duties. However no one at the company except perhaps HR realized that I hadn’t been hired on fulltime. I just kept submitting invoices and doing my job. Automattic was a lot more unorganized back then, both with trials and the onboarding process! 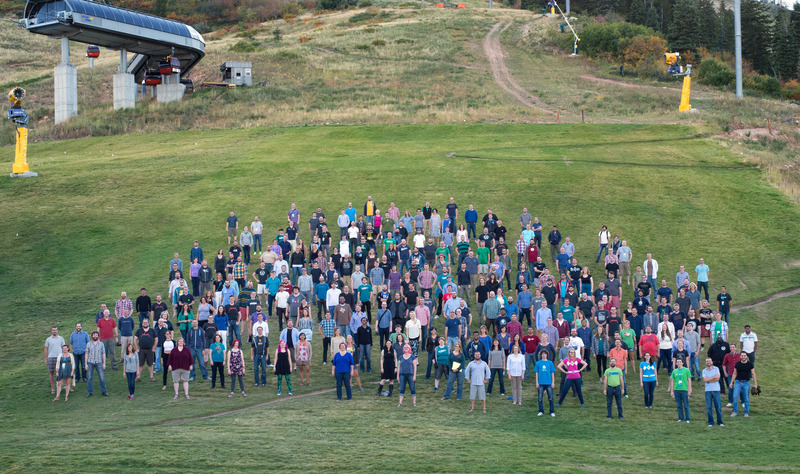 Compare that to the latest Grand Meetup last fall when we had about 260 people there! We’re up to 306 as of this post. After four years at Automattic, you are given an awesome MacBook that has been customized by ColorWare to have a glowing WordPress logo instead of an Apple logo as well as being painted any color you wish. 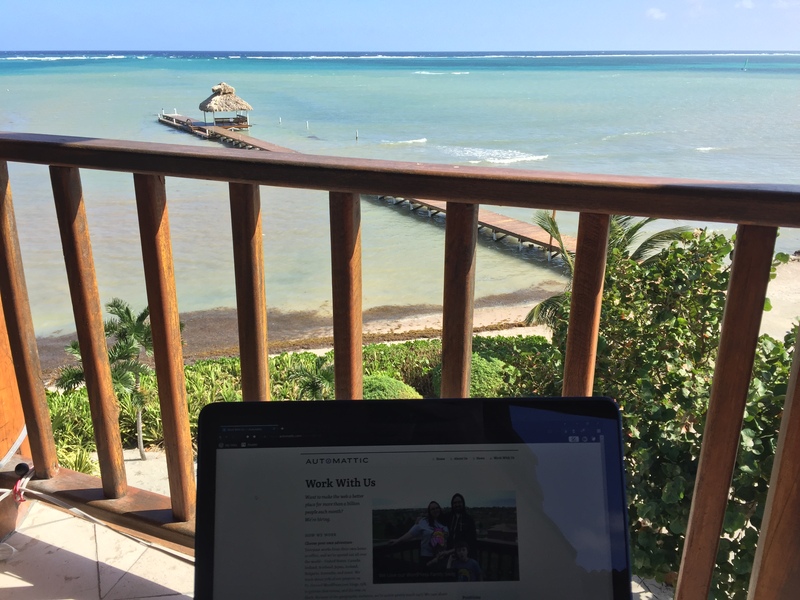 My four year anniversary of being officially hired was last March (I was also on contract for 9 months) but as one of the handful of Windows users in the company, I originally opted to pass on the custom MacBook and stick with normal Windows laptops. I’ve used Windows for 20 years now and my primary machine is a very powerful desktop computer that I’ve built for gaming. However I recently tried to use a Mac for something and realized that I had absolutely no clue how to use it. I didn’t even know about Finder! Yeah, pretty bad. Additionally I saw some very cool looking customized MacBooks at my company’s annual full company meetup that made me want one too. So I decided to get one after all and I’m super happy I did! It’s absolutely beautiful and I can install Windows on it so that I can use both operating systems. 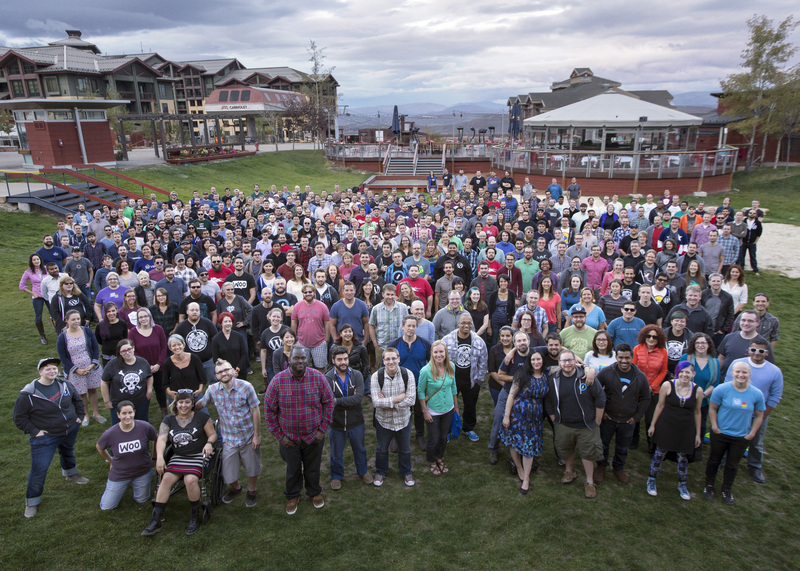 Last week I drove my Viper to Automattic‘s annual grand meetup in Park City, just outside of Salt Lake City, Utah. On the way home I was apparently unlucky enough to puncture my tire but thankfully it wasn’t bad enough to quickly deflate because I made it home safe. It was only a few days later when I went to wash all of the bugs off my car that I discovered I was way down on air. Grr. 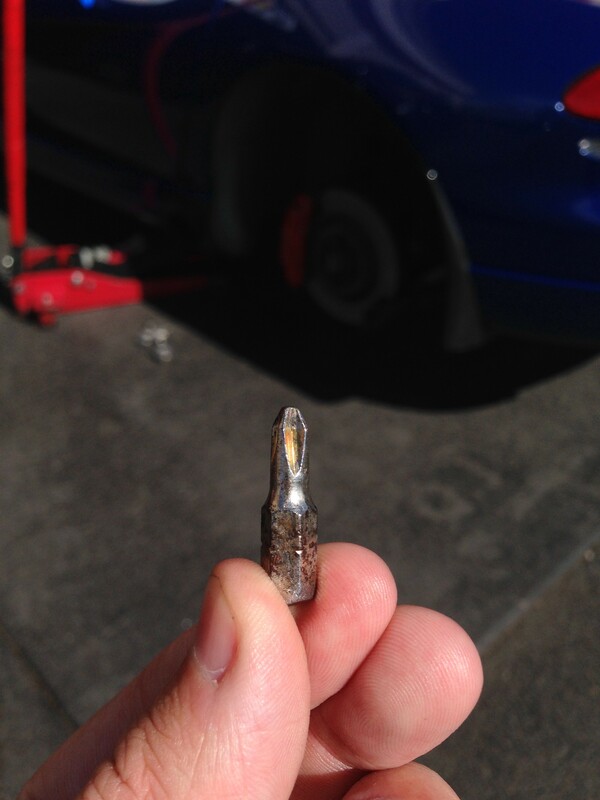 Thankfully America’s Tire fixes tires for free, even Viper ones, so I was good to go in about an hour. Today marks my official fourth anniversary at Automattic of being a proper full-time employee! In reality I started working for Automattic in about July of 2009 but due to an oversight, most of my coworkers thought I was already hired on as a normal employee. Meanwhile I just kept submitting my monthly contract report. Our hiring process has thankfully changed quite a bit since then! Working at Automattic really has been a dream come true for me. Besides getting to work on something I’m passionate about, WordPress, I also get to work with some of the most amazing people. I’ve made some life-long friendships here that I truly cherish. I can’t speak highly enough of the company and my co-workers. And as always, we’re hiring! I hope my next four (nearly five) years at Automattic are at least half as good as these past ones have been. 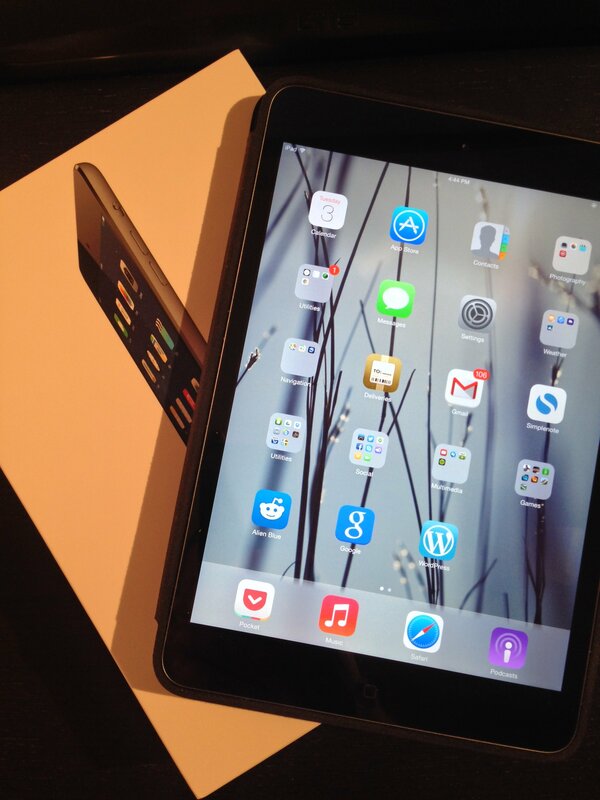 I went out and bought an iPad Mini with Retina yesterday thanks to a new program at my company. They’ll buy me a new mobile device every 12 months in addition to the existing new laptop every 16 months program. I had originally planned on waiting (a long time) for the iPhone 6 but decided this was a better option. It’s my first iPad and so far I’m pretty impressed with it, especially the display. The pixel density is quite impressive and makes for a great reading device. It makes my iPhone feel hilariously tiny and squished. iCloud: I’ve had an iPhone since launch day of the 4 and each time I upgraded or replaced it, it was just a matter of restoring the device from an iTunes or iCloud backup and it was exactly like the phone before it. Setting up the iPad however was nothing like that. Practically speaking it’s an entirely separate device from my iPhone. I had to set up all of my settings and apps from scratch. It would have been much nicer if it kept my app settings in sync between my two apps, at least at first. Or something. I don’t know. I just know it was a huge pain to get everything set back up. Lack of universal apps: It was disappointing to discover just how many of my favorite apps were designed only for an iPhone. Thankfully a few of them (but not all) had separate apps designed just for iPads but come on developers, it’s nearly 2014. Get with the program. Weight: It’s not heavy exactly but it’s not as light as I would like it to be either. If you’re holding it by one corner with your hand, it does make your hand tired after a bit. When I switch back to using my iPhone, it feels like I’m holding a feather. Still, I’m not regretting getting one. It’ll be nice to have a device that I can more easily read stuff on and consume media with.